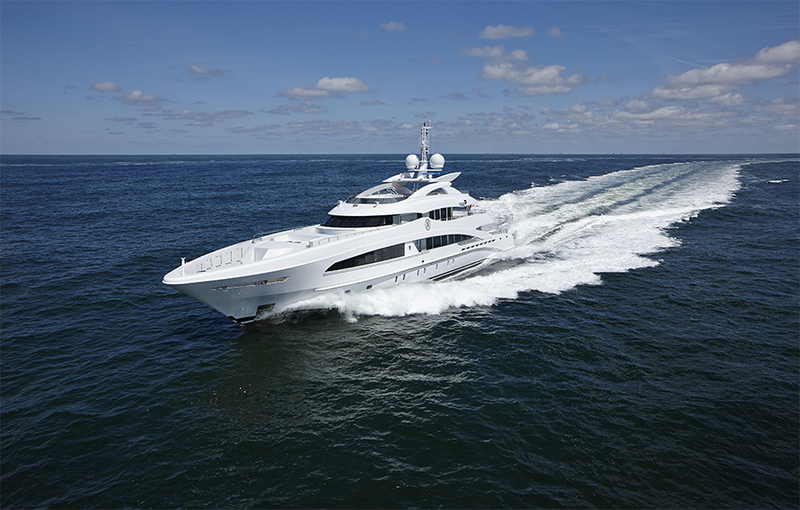 Just received news that Heesen Yachts on June 2, 2014 M/Y Monaco Wolf – YN 16650 – was delivered to her Owners after intensive sea trials in the North Sea. Powered by the latest MTU engines, 16V 4000 M73L, the vessel with her well-engineered all-aluminium semi-displacement hull exceeded the contractual speed by 0,4 knots, with very low levels of noise and vibrations. Monaco Wolf’s highly distinctive flowing lines are designed by Frank Laupman of Omega Architects and embody the Heesen family look and feel with its iconic reverse sheer ‘pelican beak’ bow. Her elegant interior design has been created by acclaimed Italian designer Francesco Paszkowski. This positive result was possible thanks to the efficient team work between the well-established Heesen shipyard working group and the Owner’s team who strenuously worked together to deliver to the Owner and his family a vessel that will exceed their expectations. It is one of Dubai’s busiest weeks. All my friends are super busy….earlier today I caught up with an excited Barbara who is from the main organising team of the Dubai International Boat Show. We became friends early last year while I was shopping with NJD for a yachting weekend with friends and we clicked right away. She is awesome and we had a ball at the Motorshow together. The boat show publicity is done by Wallis Marketing (Mike Wallis and I go back years when we first went to Sharm al Sheikh together with a group for diving and dining – he of course played golf as well but I’ve never delved into this one sport – shame). Mike has an awesome team and together with them and Barbara’s dynamic team at DWTC, I reckon the public is in for a cool show this year. Few of the cars I have driven already will also be on show :). Naturally my friends from Rolls Royce, Bentley and Mercedes Benz will be there in full force. The Supercar Promenade will show the finest models on four wheels with world class marques that will align perfectly with the prestige of the high-end boating brands. Visitors will be able to get behind the wheel of some of the world’s fastest and most expensive cars – among them Bentley Continental Series 51, Mercedes-Benz SLS AMG, and Rolls-Royce Phantom Drophead Coupé :). My daughter had an awesome time at last years show playing on the yachts and she showed her VIP tag to anyone who sat up and noticed. Little diva is having a fabulous time skiing in Switzerland and I have not had a single phone call :(. 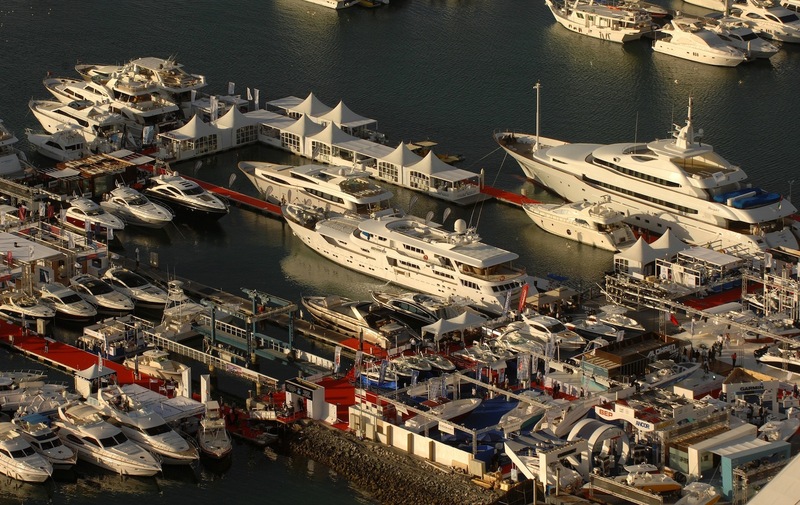 This year’s 20th edition of the Dubai International Boat Show will celebrate the rich history and incredible growth of the regional maritime industry, bringing together the ‘who’s who’ in the vast sector from across five continents. In addition to an impressive number of global and regional firsts, the world’s leading marine leisure industry players will unveil their launches to tens of thousands of boating enthusiasts, confirming the event’s growing international reach and continued ability to attract top quality buyers in record numbers two decades after its inaugural staging. Members of our Millionaire Group are waiting in anticipation and keep asking me about what’s in store. I remember hanging out 8 years ago with the Victory team at DMC when the show still revolved a lot around sports and I was doing profile stories on the main players for our Group. I’m glad they are still members of our group and still as dynamic as ever. Before that, 20 years ago, the Dubai International Boat Show was originally launched as the ‘Watersports & Powerboat Show’ as a fully indoor event held at the Dubai World Trade Centre. Its current home at the Dubai International Marine Club, Mina Seyahi has accelerated its transformation into one of the most influential brands in the world and witnesses incredible growth of 43 times in size and 14 times the number of exhibiting companies since its inception. According to a story Mike’s team sent our Millionaire Group today, with an astounding 33 premiers, including world and regional launches, and 750 companies plus 430 boats on display, the strength of this year’s 20th anniversary event programming clearly reaffirms its position as one of the top five international boat shows and the Middle East’s number one destination for leisure marine trade. 46 countries including Austria, Cyprus, Djibouti, Egypt, Hongkong, Madagascar, Poland, Philippines, Seychelles and Tunisia will be there. The show will feature 186 new exhibitors and some of the world’s most renowned brands this year, including Abeking & Rasmussen, Al Futtaim Marine, Blohm + Voss Shipyards GmbH, Bombardier Business Aircraft, CSO Yachts, Dutch Thruster Group, Fehrmann Metallverarbeitung GmbH, Fraser Yachts, Green Marine, Kaiserwerft GmbH, Koot Yachts, Limassol Marina, Mave, Milano Teleport S.p.A., Oldenburger Yacht Interior GmbH & Co., Otto Pienning GmbH, RE-Boat Srl, Sunreef Yachts, Yamal Boats and many more. Plus 11 members of the world’s most prestigious super yachts builders association (SYBAss), to include Abeking & Rasmussen, AMELS, Benetti, CRN, Feadship, Fincantieri, Heesen Yachts, Lurssen, Oceanco, San Lorenzo, and Trinity Yachts, will show their latest yacht models and designs in a dedicated SYBAss Pavillion. Several of the Dubai International Boat Show stalwarts including leading shipyard Westport have increased their space while North Africa’s latest shipyard, Koot yachts, are among the many first time exhibitors alongside Al Rubban, AM Shipyard and Dutch Thruster Group, who also make their debut appearance. Key exhibitors including Al Shaali, ART Marine, Aquaspeed, Azimut, Cummins, Emirates Boats, Gulf Craft (my favourite), Heinen & Hopman, Princess Yachts and Sunseeker will be very popular I’m sure. Enjoy the show….Island girl is back on the clear blue waters of the Arabian Sea…even if it is on a yacht in April with my pals in Umm Al Quwain – its too cold for me still to jump into the sea so my after work swimming sessions are on hold. Next up is my take on the soiree with the 100 Top Arab Women’s networking at Emirates Towers plus the Emirates Festival of Literature – it sure is a busy March!